For me, personally, Silent Spring had a profound impact. 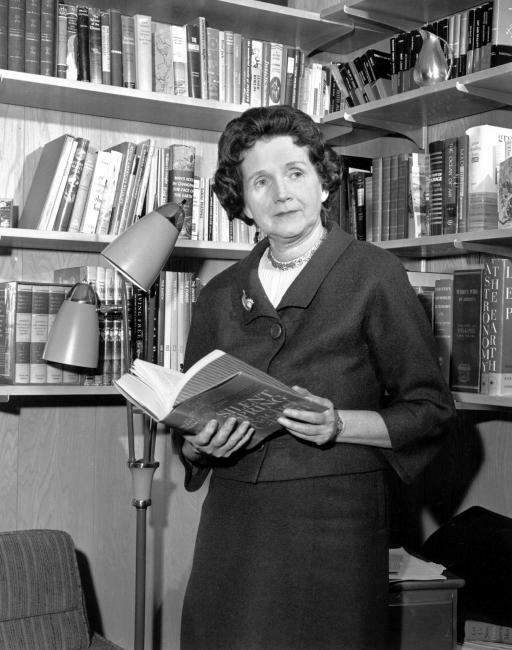 It was one of the books we read at home at my mother’s insistence and then discussed around the dinner table. . . . Rachel Carson was one of the reasons why I became so conscious of the environment and so involved with environmental issues. Her example inspired me to write Earth in the Balance. . . . Her picture hangs on my office wall among those of political leaders. . . . Carson has had as much or more effect on me than any of them, and perhaps than all of them together. Without question, it is the book that started the American environmental movement. 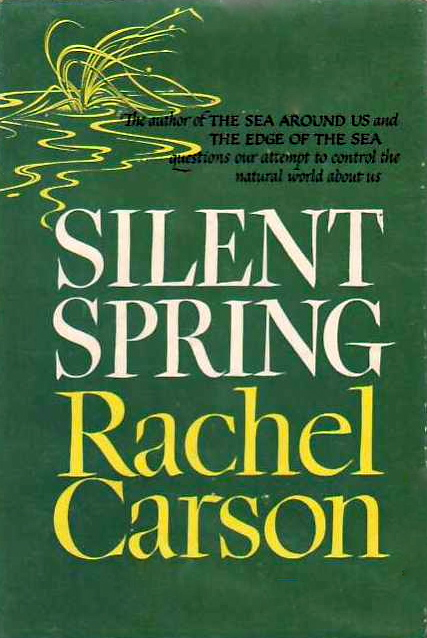 First published by Houghton Mifflin in 1962 Silent Spring brought to light the use and abuse of dangerous chemicals in agriculture and pest control. It sold hundreds of thousands of copies and stayed on the best seller list for thirty-one months. 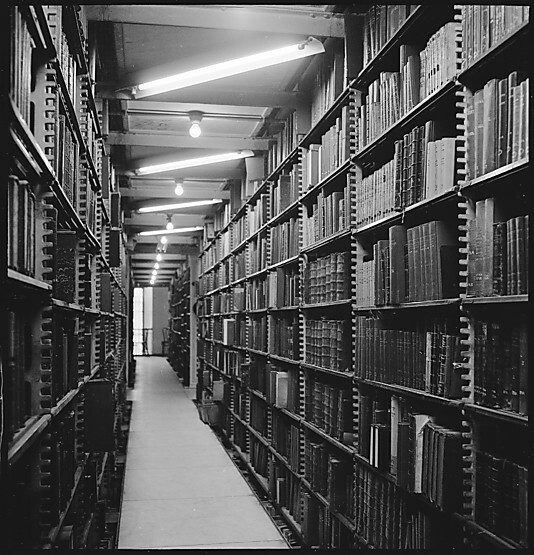 By 1975 every one of the toxic chemicals named in the book was either banned or severely restricted in the US. 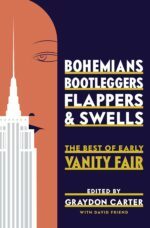 Over at The Environment & Society Portal, Mark Stoll, an associate professor of history at Texas Tech University, has created a comprehensive online exhibition celebrating this groundbreaking book. 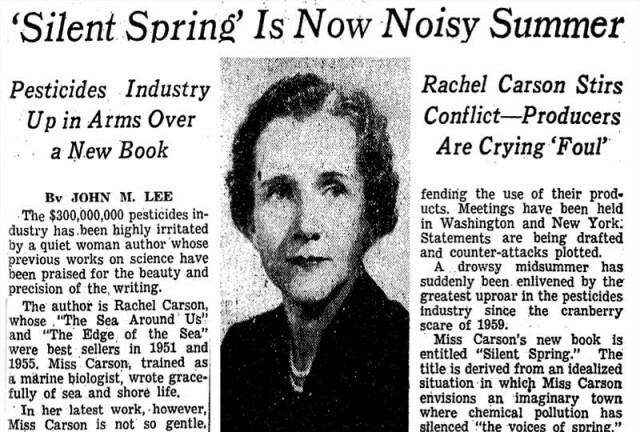 From the insistent attacks on the book and Carson to the government response to the place Silent Spring holds in popular culture, this well researched exhibit is a worthy salute to both the book and its dedicated author. Silent Spring – Exhibition Overview | Environment & Society Portal.